In a disaster or a crisis, food will be one of the main things people will look for. Meat contains proteins that are vital to your body’s continued well-being, and while they can be obtained from nuts and similar foods, they are not present in the same quantities and they don’t have the same amino-acid profile as they are in meat. If you have chosen to raise turkeys then congratulations, you are very bold. 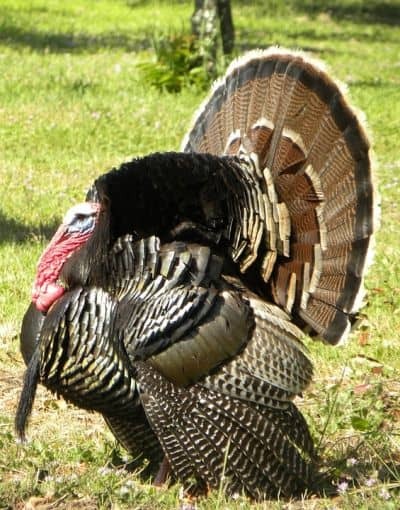 Raising turkeys is a lot different from raising chickens since these animals are bigger, stronger and have requirements that are unique to them. That said, raising turkeys is also quite a lot of fun, and it is much more useful than raising chickens, they will help you controlling pests and keeping your pasture green. There are several things to take into account when raising turkeys and these can be divided into several categories. The most important thing is that you are comfortable with your decision of raising turkeys and are ready to learn everything from the hatching to the processing. 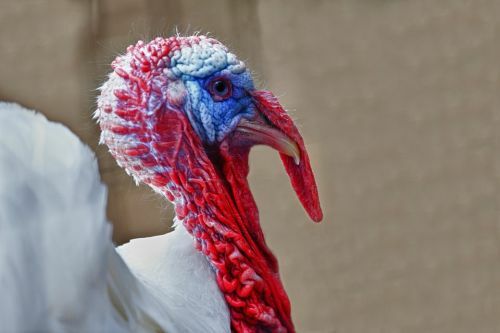 This is without a doubt the most important decision when you choose to raise turkeys, mainly because it will determine several factors going forward such as whether or not it can naturally reproduce which is a very important thing to take into account since it will be hard to get artificial methods in a post-SHTF scenario. The type of bird you choose will influence how quickly they grow and even how easy they will be to butcher. There are two types of turkey breeds: Heritage and Production. This difference is exactly why it is very important to look into breeds beforehand. On paper, both of the Production breeds may seem very interesting; they are the Broad Breasted Whites and the Broad Breasted Bronze. Both types are available from most hatchers in the spring, what makes them so attractive is that they grow very quickly, both in terms of how big they can get and how quickly they mature. These two breeds can get as big as 40 lbs, which is why they are so popular with commercial turkey farmers. However, there are a few drawbacks to them, the first of which being that they cannot reproduce without assistance due to how big they get; the second drawback is that they cannot fly or walk and they are very much prone to diseases. We are going to list the different heritage varieties, with their advantages and disadvantages so that you will be ready to make the right choice. These are known as “standard” varieties and the ones recommended by the APA (American Poultry Association). Originally from Bourbon County, Kentucky, the bourbon red turkeys are known for their beautiful red plumage and excellent taste. They are considered to be the best-tasting heritage turkey breed. Bourbon toms can get up to 23 lbs. and hens can get up to 12 lbs. This variety was developed in the 1960’s, thus making it a relatively new heritage variety. The breed is a cross between Royal Palm and Broad-Breasted Whites. As you can probably surmise from the name, they are quite small; however, this is not all they are known for, they are famously delicious and, because of their calm disposition, they are quite good at raising poults. Toms usually weight from 16 to 20 lbs., while hens can weigh 8 to 12 lbs. Their size makes them an excellent choice for smaller homesteads, though it should be noted that they could become good fence-jumpers, so keep that in mind if you choose to get this variety of turkey. Narragansett turkeys used to be quite popular before factory farmed turkeys became the norm. They can grow to be bigger than a Bourbon Red and even though it does not share the delicious full flavor associated with Reds, it is still quite delicious and tender. A Tom can reach 30 lbs, and a hen can reach 18 lbs. As you may have deduced, this variety is originally from Holland and migrated with early settlers to America. It has been quite popular as a meat bird since the 1800s. The greatest advantage is that they are calm and hens make good mothers, thus, making them ideal for a self-sustaining lifestyle. A Tom can weight up to 30 lbs. while hens will weight up to 20 lbs. The largeness of hens might cause some eggs to break, but otherwise, they are good sitters. These grow up to be roughly the same size as a Midget White; however, their chests are wider, and they are known as “a good table bird.” Their flavor is nothing to rave about, usually blander than Midget Whites. A small advantage is that they are prolific layers and, despite not being as social as other heritage breeds, hens make quite good sitters. A Tom will weight around 17 lbs while a hen will be around 10 lbs. The Standard Bronze is the most popular variety of turkey in American history; it is also one of the largest varieties of heritage turkeys. Originally they are a cross between American wild turkeys and turkeys that had been brought over by Europeans. The Broad-Breasted Bronze variety we mentioned before is a variation on this particular variety. A Standard Bronze Tom can easily reach 25 lbs while a hen will reach 16 lbs. Unlike the Broad-Breasted Bronze, the Standard Bronze may reproduce naturally. These turkeys were originally bred for their good looks, and it is no wonder since their beautiful black and white plumage is quite striking. They are not as big as the Standard Bronze but they are suitable for the home production of meat, not only that but they are excellent pest controllers that forage extensively. A Tom weighs on average 16 lbs while a hen weighs 10 lbs. Also known as Black Spanish or Norfolk Black, these turkeys are a mix of Mexican wild turkeys and European turkeys. They are quite striking birds and thought the plumage is a beautiful, deep black with a green sheen on top; their meat is white and tender. They grow quite quickly, which made them quite popular, and they are calm, thus making them good sitters. An average Tom will weigh around 23 lbs. while the hen will be around 14 lbs. Once you have chosen the variety, you will need to acquire the poults. For this, it is recommended that you do extensive research on the hatchery you are planning to buy the birds from. This means inquiring about everything from the feed they give the animals to the shipping method. Make sure to ask about the average weight of their young adult turkeys (this means turkeys under one year of age), by doing this you will get a good idea of the genetic potential of the hatchery’s stock. It is unlikely that you will get it right the first time around, so it is advisable that you acquire birds from more than hatchery and keep track of each poult’s progress and growth rate so that you will have more information going forward. To determine how many poults to order, you will need to look at the space available. Remember that you will need to have winter accommodation for these birds and you will want to make sure that you have sufficient space. Here is a good rule of thumb to calculate space needed. Poults from 1 to 6 weeks of age require at least 1 square foot of floor space each. Poults from 6 to 12 weeks will need at least 2 square feet of floor space each. Even among the best-cared birds, there are bound to be mortalities, so if you want to keep a certain number of birds, you will need to plan for 15 to 20% mortality rate and adjust the quantities you order. If you are starting with day-old poults, then you will have to set up a turkey brooder. They are quite similar to chicken brooders, so there is no need to do much research on that topic if you have experience with baby chicks. It is important that everything is set up and warmed up to 95°F to 98°F before your poults arrive. Here is a helpful tip: While having a thermometer is always a good idea, observing the poults will let you know if the temperature is right; if they are too cold they will huddle together under the heat source, if they are too warm they will keep to the very edges of the brooder. By using their behavior as a guide, the results will be happier poults. Every week you will need to raise the heat lamp a few inches and lower it 5 degrees. You will need to do this until the poults are six weeks old or until the temperature in the brooder is the same as outdoors. At this point you will need to fill the feeders and waterers, placing them close to the lamp (never under it and never too far away), it is advisable to hang the feeders to avoid poults standing or pooping in them. At three weeks you will be able to add a roost to your brooder. This will teach turkeys to roost early and get them used to sleeping in roosts (which they will have to do later on). In those first few weeks, you will need to keep a close eye on the poults at feeding time so that you can avoid deaths. A very common issue with poults is that they are prone to “starving out,” which is what happens when some poults get pushed out and away from the feeder and slowly starve to death. By keeping a close eye on the poults when they are feeding and making sure that every poult is feed you will reduce death rates considerably. As they grow, you will need to get them used to living outside so, on top of lowering the temperature of the lamp, you should also expose them to the sun on nice days. Before you move them outside you will need to make sure that they are fully feathered and at the very least eight weeks old. You can ease them into the change by providing the lamp at night for a week or two and checking that they are not damp or chilled every night. Now that your turkeys are officially of age and able to live outside you will need to provide them with a roosting area with a roof, protection from predators and access to fresh pasture, or range —which is grass that is four to six inches long. Turkeys are far more active than laying hens; they will need space to stretch and be outdoors. Roosts to fly into at night. Enough space (75 feet squared for 12 turkeys, at least). Building a set of roosts for your turkeys is quite simple, just make sure to keep them all at the same height so that they will not fight for the top spots. Keeping the roosts movable will prevent the turkey manor from accumulating on one spot of the pen, thus making it much easier to clean. You can use a lightweight metal or fiberglass panel as a roof so that there is a refuge from the weather. The number of roosts you need will depend on how many turkeys you have, for instance, a 5×8 foot roost will house around 20 turkeys. You will need the fencing to be quite resistant; the most recommended material is woven-wire fencing as well as metal T-posts. 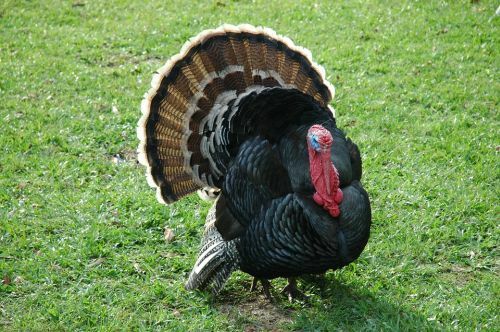 Even though you will want your turkeys to be quite protected, remember that these birds are great at pest control and so, they can be turned out to pasture with cattle, and they will pick out undigested grains out of cow manure, helping you improve the pasture by spreading it. You may want to provide a nest box for your brooding hens so that they feel safe. It is advisable that these are small, light structures with a slanted roof (the better to prevent roosting) that can be pushed against the wall of your coop. We mentioned before that your turkeys would need access to range or pasture, this is because the best way to ensure a happy fowl is to allow them to roam and eat freely from pasture. Since getting feed might be hard in a post-SHTF scenario, getting them used to pasture is actually a pretty good idea, on pasture you will need to make sure that the turkeys have access to either coarse sand or fine gravel so that they can digest their food. However, if you have taken this lack of standard feed into consideration and are already stockpiling turkey feed; then give them what you have stored. You can add dried corn to their diet, but only as a treat to keep them happy, as it cannot be their standard food. The turkeys should have an automatic watering system that can hold several gallons of water; these will need to be quite sturdy as adult turkeys are surprisingly strong. It is advisable to supplement their water with vitamins and acidophilus, though in the event that you do not have access to either, these can be replaced by raw milk. Waterers need to be cleaned twice a day and washed with disinfectant weekly to avoid infectious diseases. It is a widely-held belief that breeding turkeys are mighty complicated and they might require your assistance; however, this is only true for the production breeds we mentioned earlier, all heritage breeds can produce naturally and without you giving them a helping hand. Turkeys are sexually mature around their seventh month; it is recommended that they are bred immediately. A Tom can be mated with as many as 10 hens, but if you want to ensure fertilization, you might want to rotate two toms during the breeding cycle, pick out your best-looking toms for the task. As soon as the female starts laying eggs you will know that the turkeys have reached the age of maturity and it is a matter of letting them be. Once mating has happened, the hen will continue to lay her eggs for 7 to 10 days. Don’t forget the further away from the time of mating; the less of a chance the egg will have been fertilized. By allowing the Tom to mate freely and often, you should be able to pick out the eggs with reliability while fertility is ensured. Watch your turkeys closely, sometimes they have no parenting instincts whatsoever, and you will need to take matters into your own hands; however, there are certain breeds that take parenting seriously, and you will barely need to lift a finger. If you do need to pick out the eggs here is what you will need to do. First, you will want to make sure that you have thoroughly washed your hands, this is very important since your hands contain natural oils that may block the tiny pores on the outside of the egg shell and damage the poult. It is a fact that clean eggs will hatch better than dirty eggs, so make sure to keep your nesting box clean. It is not necessary to wash the eggs if the nesting box is kept clean. Second, collect your eggs daily and store them in temperatures of between 50°F and 65°F, a cool and dry basement is a good enough place. Once you have collected a nice clutch, you may move them to the incubator. Turkeys incubate for 28 days at 100.5°F. On the 26th day, you will need to stop rotating the eggs and double the humidity in preparation for hatching. It is a good idea to have the brooder ready for the brand new poults. Hatching will begin around the 28th day, despite what you might have seen in films, hatching is quite a slow process so be very patient. After the poult has hatched, and if you have enough space, you may let them fluff out inside the incubator before moving them to the brooder. It is very important that you make sure the brooder’s temperature is around 95°F to 100°F, before you place the poults inside, freshly hatched poults are damp and can easily catch a chill, to prevent this move them quickly and surround the poult with your hand until you reach the brooder. Slaughtering and processing your turkeys is quite a rewarding experience since you can finally see the fruits of all the hard work you put into them. Learning to process your turkeys humanely will make the experience less messy and traumatic. Killing Cone: This is literally a cone that is mounted to a frame or the side of a building structure. Knifes: You will need them to be sharp and have at least two of them close by. Four to six inches is what is recommended. Buckets: One under the killing cone and one by the scalding area. Scalding Tank: A large pot or tank on a burner. You will need to heat up water up to 140°F and make sure that the tank is big enough to dunk and swirl the birds around. Cooler: A large tank with ice and cold water. Water: You will need a hose with access to fresh, clean water. Table: For processing the bird. Once you have gathered all of this, you may begin. Grab the bird’s feet first and hang it upside down. The bird will calm down as the blood rushes to its head, thus allowing you to put it in the killing cone more easily. Pull the bird’s head firmly through the bottom of the killing cone and hold it. Use a small, sharp knife to cut both the jugular vein and the carotid artery. You will need to cut just behind where the beak tendon and the tongue are attached, slide firmly on both sides of the neck- Pull the head down to allow the blood to drain. Once the blood has been drained, you will have to scald the turkey to pluck it easily. Dunk the bird into the scalding water while holding legs and feet. Swirl the bird around in the water and check every few seconds if the feathers can be removed easily. When they do, remove the bird from the water, secure the legs and pluck it. When it is plucked, you will need to remove the feet by cutting between the joints. After that remove the head with a sharp knife, slit the neck skin and loosen the trachea and esophagus all the way down until they connect to the body. You will now need to eviscerate the bird; this means inserting the knife around 1 inch above the vent and cutting the skin up to the breastbone while making sure not to cut into the intestines. Cut around either side of the vent and remove it, afterward you will be able to reach into the bird, run your hand along the ribs and free the entrails. Remove the neck by cutting the muscle tissue around it and bending it to break through the bone. Rinse the bird thoroughly inside and out. Place into the cooler, making sure it is completely submerged, for at least 30 minutes (though it is more advisable to wait for an hour). Remove the turkey and pat dry before packaging using the method of your choice. Remember that the turkey should age for a few days before eating or freezing to avoid toughness. The best way to prevent diseases is to avoid overcrowding and allowing your turkeys to have fresh air and range in a large pen with an appropriate number of roosts. Move the roosts around and clean manure frequently. Get the poults out to pasture by eight weeks of age. Make sure you have enough space (75×75 feet for every 20 turkeys). Do not mix chickens with turkeys. Clean the waterers with disinfectant once a week. Ensure the quality of the soil. Now you know all you need to start raising your own turkeys and ensure your access to meat in the future. Keeping turkeys is fun, and after TEOTWAWK you will be able to gift your family with the comfort and remembrance of Thanksgiving, thus heightening morale and making the adjusting process easier. All that remains to say in closing is good luck! And remember to enjoy yourself. Great article! I still dont think many people here in the USA know that almost all Thanksgiving turkeys from the store are white and sparsely feathered…very different than the proud SMART bird with the big plumage we all love. Eric talks about hunting them and how smart they are, the Tom has mad skills that way! have little dark feather nubs under the skin giving the appearance of pepper. We raise Bourbon Reds, Wilds, and crossbreeds. The hens do a great job raising the babies, the biggest mortality threat is predators at night before the little ones roost. Our birds free range and roost in trees, in the winter they can get a coating of ice and snow, but they survive just fine. We also have chickens, but do not import any grown birds and have had no problem with diseases like blackhead. I would recommend chickens before turkeys as they produce more eggs for a longer time, can raise up to 3 hatches a year, get to butcher weight faster, and are tasty too.